There are lots of paid and free social bookmarking websites. Social bookmarking websites are those websites that allow users to make submissions. Examples of social bookmarking are Reddit, Digg, StumbleUpon and more. If you already have a community of trusted users than take next step and create your social bookmarking website. This way you can share best topics and quality news with your followers. Some most famous bookmarking websites are Reddit and StumbleUpon (Stumbleupon is dead and here are other sites like stumbleupon.). There are lots of open source CMS available to make social bookmarking websites like Hotaru, Drupal and also wordpress plugins. But my recommendation for you is free and smart CMS-PLIGG. As bloggers we read many pages daily and also bookmark pages that are interesting. So how about making social bookmarking website and save links of your blog and also make money. So rather than using some other 3rd party website to bookmark links you can make your social bookmarking website. It can take time for your website to be famous worldwide but still you can make money from it. Noone know when your website get popular. Pigg is open source that give you social bookmarking software to make account then submit links to bookmark them. Other users vote for the submission and most popular submissions shown on the main page of social bookmarking website. 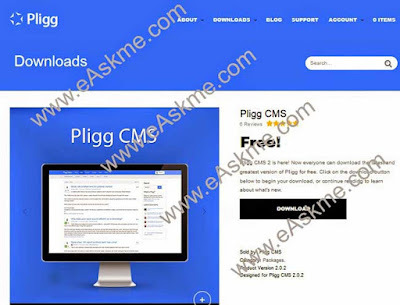 Pligg is powerful CMS that have many features like Private messaging, User Profile, Templating, Modules, Groups, Commenting system, and SEO optimized. Now I will tell you how to start installing, modify and configure Pligg to make your social bookmarking site easily. Open Pligg.com to download Pligg. Now you need webhosting to start, I recommend Hostgator as it is best for hosting social bookmarking website. SignUp for Hostgator . Now go to cPanel to upload files in directory, where you wish to upload files in webroot in order to convert website into social bookmarking website. Now extract and open address in new window. Now you will see 3 links, these are Pligg Homepage, Pligg and Pligg README. Click on Pligg and follow instructions. Now go to cPanel then go to Pligg directory and rename the "settings.ph.default" to the "settings.php" then the "dbconnect.php.default" to the "dbconnect.php". Now reload the same page and click the "Pligg Installer" then select language. Now open CHMOD permission and change permission of following folders to 755, if there is error then use 777 permission. Click on Next and fill details in Database. Go to the "MySQL Database Wizard" in cPanel to create a database and fill details then click Next and enter account details and then click "Create Account". Now installation done successfully. Now change permission of "libs/dbconnect.php" to 644 and delete "/install" directory. Now social bookmarking website is ready. Login and configure website. Also make an account on Pligg forums. Make account and search for themes and download. Now upload theme in cPanel in the "/template" directory. Now login to admin panel the go to the template tag then choose "To change template, Click here". In templates section enter template name in "Value". Now social bookmarking website is ready. There are so many templates for Pligg to download and install or you can hire template designer. Do share if you already have any paid or free social networking site ?